What is your program of study or your intended major? Attach a copy of your Official Transcript showing ALL final grades for the Fall 2018 and Spring 2019 courses. Cumulative grade point average must appear on this document. Attach a copy of your college financial aid award statement for the 2019-2020 academic year. Optional: You may attach a letter noting any particular changes over the past year that may impact your future financial needs. By clicking the SUBMIT button, you affirm that, to the best of your knowledge, all information provided in this application is correct. You understand that you are responsible for submitting this application and attachments by June 21, 2019. 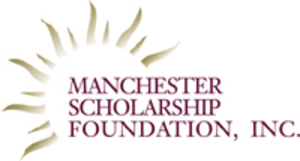 The Manchester Scholarship Foundation reserves the right not to process applications found to be incomplete. All information provided by the applicant will be held in strict confidence and will be viewed only by members of the Jarvis Selection Committee.